An international collaboration, involving the Astrophysics Department-Laboratory AIM of CEA irfu, participated in the study of an exoplanetary system, Kepler-107 and revealed an amazing distribution of its 4 planets of which two seem potentially resulting from a giant impact. Thanks to asteroseismology (the study of star vibrations) and the modeling of planetary transits, researchers have been able to determine the mass and radius of the central star and its planets with great precision. and highlighted the unusual density of one of the planets. 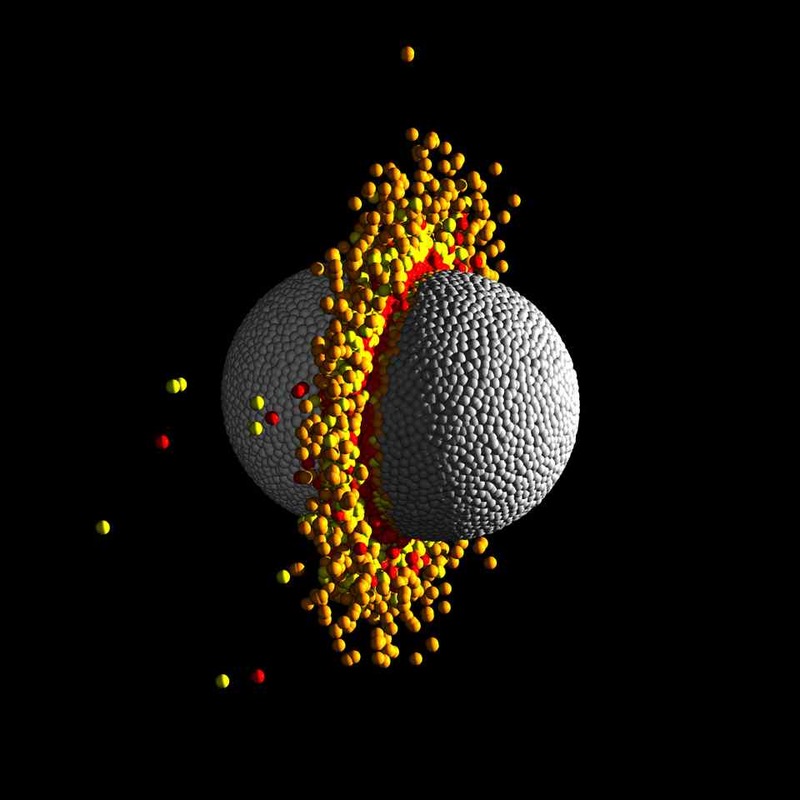 This anomaly can be explained by a giant collision between planets, probably similar to the one that affected the Earth in the past to form the Moon. These results are published in the journal Nature Astronomy of Februrary 4th, 2019. "A giant impact as the likely origin of different twins in the Kepler-107 exoplanet system"